WRIGHTSVILLE BEACH, N.C. – Jack Viorel’s teaching career began 25 years ago in a classroom with medically-fragile, special needs, and at-risk kids. “That first year was a big wipeout … I had to find a way to make it work,” said Viorel, sharing his story with TEDx Talks at the University of Tennessee in March. Nine years ago, with more experience and brimming with new ideas, Viorel moved his family to Wilmington, North Carolina and opened his own uncommon school. “To succeed in teaching,” maintains Viorel, “there are three fundamentals: inclusion, self-esteem, and a vehicle to open a child’s mind.” In Viorel’s case, he and his staff use surfing as a means to reach children and open their minds. Thousands of students and many success stories later, Viorel’s techniques have gained acclaim and support. Services were expanded to include wounded soldiers to help with their physical and mental adjustment to life after injury. In 2015, IndoJax Surf Charities will serve a record number of people in the U.S. and India thanks to grants and support from United Health Care, the Helen Keller Foundation, AlertTile, First Bank, Eco Media, Trot Nixon Family, Blockade Runner Beach Resort, and many other organizations and individuals. Programs are provided at no charge to participants. “We want to leave the world a better place,” said Keller Johnson-Thompson, Vice President of the Helen Keller Foundation, announcing a three-year grant for vision and hearing-impaired children in 2014. 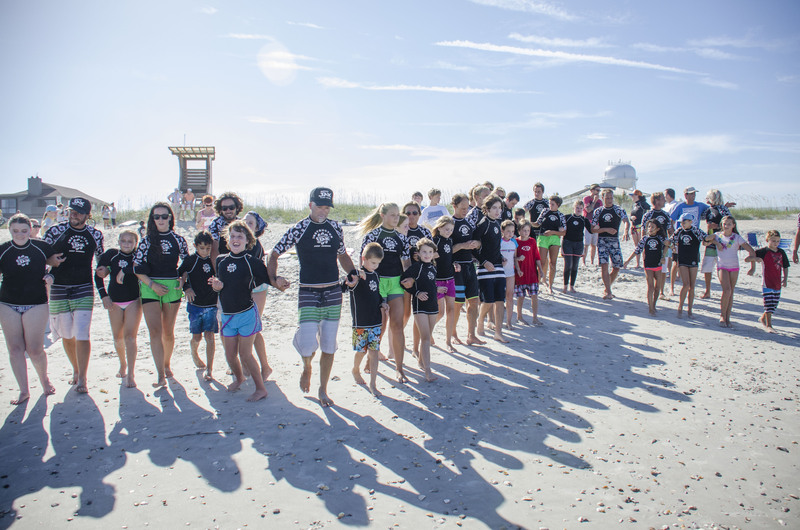 “We are pleased to support these inventive programs which bring joy, self-esteem, and confidence to children and wounded soldiers,” said Mary Baggett, co-owner of Blockade Runner Beach Resort, a long-time supporter of charitable surf camps at Wrightsville Beach. 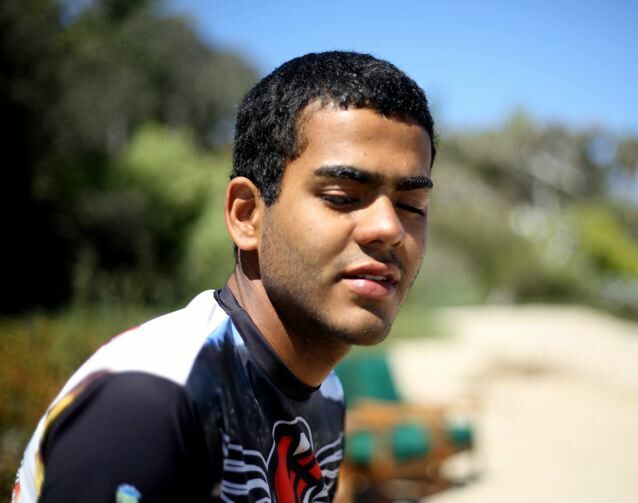 July 13-17, Brazilian surfer Derek Rabelo, born completely blind, will assist teachers and students at the 2015 Visually Impaired Surf Camp in Wrightsville Beach. Beyond Sight, the story about Rabelo’s dream to surf Pipeline will be presented Thursday evening, July 16, at Blockade Runner Beach Resort. Rabelo, a professional surfer sponsored by Billabong, travels the world surfing in a non-competitive role. “Now 22, Rabelo has surfed four seasons in Hawaii where he has won the admiration of world champions Kelly Slater and Mick Fanning,” wrote Richard Noone of Australia’s The Daily Telegraph. “I love making a difference in a child’s life. I love helping a child to be successful, and I really love helping the underdog,” adds Viorel.